Paleo Low Carb Walnut Pancakes - Oh, The Things We'll Make! These low carb walnut pancakes make a quick and delicious breakfast that's full of healthy fats, health boosting nutrients and is free of processed sugars. And they taste great! Shelby blogs over at Fitasabamabear.com. She's a Strength Coach, Nutrition Coach & Chronic Foodie. But most importantly, mama to a super cute little girl. 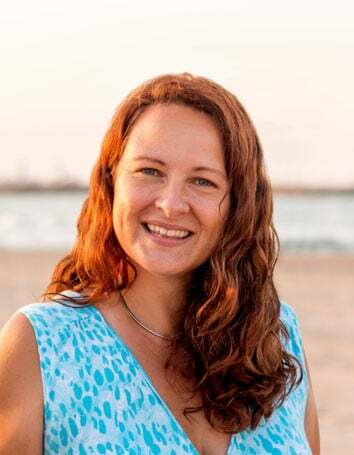 Shelby enjoys sweaty workouts, tasty meals and trying her best to live holistically (though there's definitely a lot of trial and error there!). But most of all she loves sharing knowledge on everything parent & health related. What I love about these pancakes is that not only are they grain free and paleo, but they are also low in carbs. While I don't follow a ketosis type diet or count carbs personally, I do feel better when I keep my carb intake relatively low. Here at home, I make paleo plantain pancakes quite often because my son loves them. They're super easy to make, and they taste great, but because they use plantains, the carb count is higher than these walnut pancakes. To spice things up, I also add in some cocoa powder to make chocolate pancakes sometimes. If you're really feeling fancy, though, you can make these impressive looking stuffed double chocolate pancakes. The original version is stuffed with a chocolate mascarpone filling, but if you're strictly paleo or otherwise avoiding dairy, you can either just leave the pancakes unstuffed, or fill them with my alternative paleo filling. Being a “total pancake fiend,” as she calls herself, Shelby also has other pancake recipes on her blog. 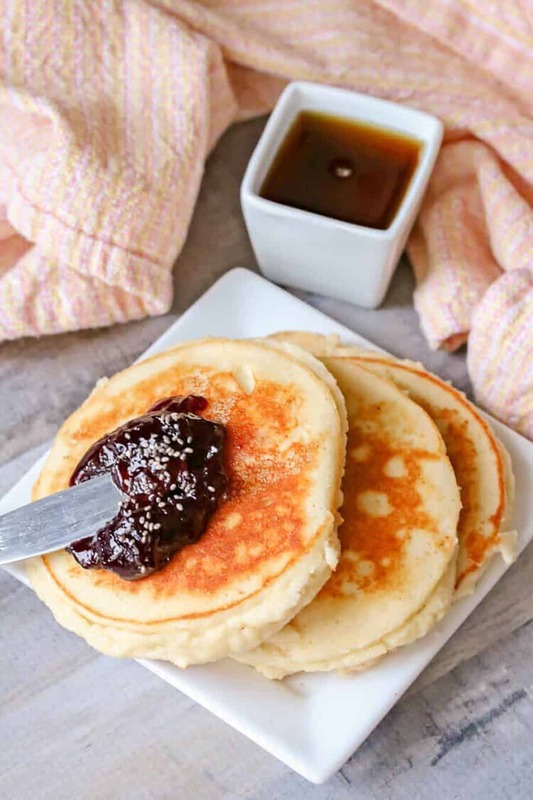 She has a recipe for gluten free strawberry pancakes using sprouted buckwheat flour, another for easy almond pancakes, and her popular recipe for high protein yogurt pancakes. I really need to try those out! I'll stop blabbing now, and leave Shelby to tell you about her recipe. Breakfast has often been touted as the “most important meal of the day”. Unfortunately though, most breakfast foods are loaded with excess sugar, poor quality flours, and minimal nutrients. These low carb, walnut pancakes are far from the norm though and provide your family with a healthy, filling and tasty start to the day! In my house, pancakes are a morning staple (with my high protein yogurt pancakes being one of my daughters favorites!). We love pancakes for a few simple reasons; they're quick, filling, and when made properly.. healthy! These walnut pancakes are not only a healthy breakfast alternative but low carb too! Using walnuts for the base ensures that the pancakes are low in carbohydrates but high in nutrients- specifically healthy fats. Walnuts have been said to be one of the worlds healthiest foods- and with good reason! They're a wonderful source of healthy fats, particularly omega three's. This not only makes them taste great but also helps reduce inflammation in the body. Omega three fats have been shown to improve brain development (specifically in utero), help ease the pain of arthritis, reduce symptoms of depression and improve your heart health. Which means boosting your intake of these fats is a great way to improve your overall health profile. On top of their fat intake, walnuts are high in antioxidants, manganese and copper. This means that these nuts help lower your overall risk of disease. Another perk of these walnut pancakes is that they're low in processed sugar! 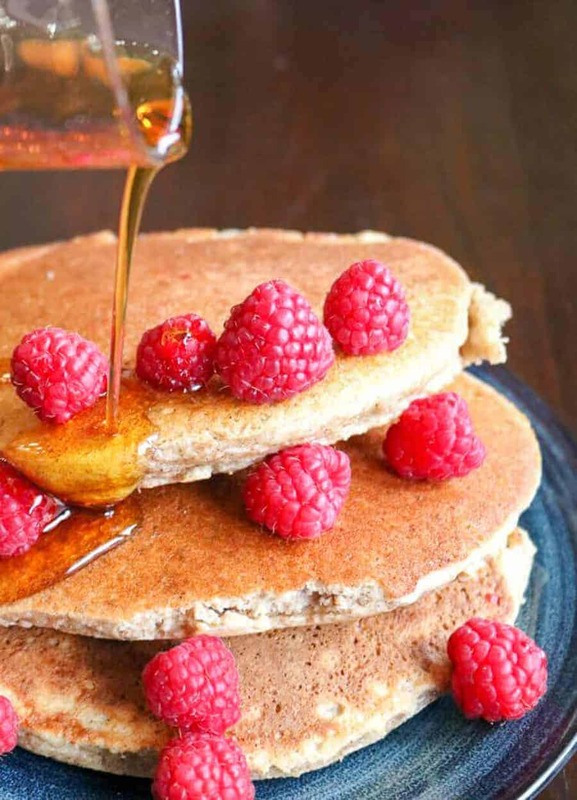 While maple syrup still keeps the pancakes sweet in flavor, using it also helps reduce your processed sugar intake – which is a much better start to the day! Since most breakfast recipes are sugar based, it's no wonder even after eating we have trouble focusing, our energy dissipates quickly and we're hungry shortly after. All of this comes down to excess processed consumption. While maple syrup still breaks down into sugar when ingested, having a base of healthy fats and proteins helps slow the release of the sugars. This keeps you full, focused and stable. Lastly, the coconut flour in the recipe not only helps bind the ingredients together but also adds a healthy fiber boost. Fiber can help lower cholesterol and improve digestion. So truly, these pancakes give you an all around, well balanced start to your day. All of these health perks is why I prefer to use nut based pancakes as a breakfast staple in our house! Pancakes taste great, kids love them (they always manage to feel indulgent! ), and with these low carbohydrate pancakes you're starting your day off with a healthy boost. These walnut pancakes make a quick and delicious breakfast! They're full of healthy fats, health boosting nutrients and they taste great. They're also low in carbohydrates and free of processed sugars. Give your family a healthy and indulgent start to the day with these walnut pancakes! Spray a pan with non stick and heat over medium heat. Add the egg, vanilla and syrup to the dry ingredients. Mix. Add in the almond milk and mix until combined and the batter has thinned slightly. Portion the batter out into three even circles. Cook uncovered for around 6 minutes until edges are starting to brown. Turn the pan off and cover. Let sit two minutes to finish cooking. If you'd like to lower the carbohydrate amount more, you can substitute the maple syrup for another sweetener. When you say that the milk should thin the batter slightly, do you mean that it should still pretty much be one solid lump or actual, semiliquid batter? In addition, how would you amend the wet ingredients to accommodate using a dry sweetener? I think I should be able to answer you myself. When I made it, the batter was a lot thicker than the batter of my Healthy 2 Ingredient Pancakes – Paleo Plantain Pancakes. So, yes, it is still pretty thick, but you can pour it onto the pan. I did have to sort of spread it out with my spoon, though. I would say that if you use a dry sweetener, that you would just balance it out with adding a splash more of whatever milk you are using, if needed. You don’t want this to be too liquid-y or it may not hold together well. I love this recipe, although I, like Jo, use a dry sweetener (stevia) instead of maple syrup. Easily compensated for by adding extra almond milk, which the recipe probably needed anyway. Great to hear that it worked out well for you with the substitution!